Rocklands Seaside Bed and Breakfast has spacious and well-furnished accommodation units, ensuring that guests enjoy a pleasant stay in Simonstown. Enjoy the quaint historical naval town of Simon's Town with it's excellent, go shark cage diving or visit the famous penguin colony Boulders Beach and visit the famous penguin colony. 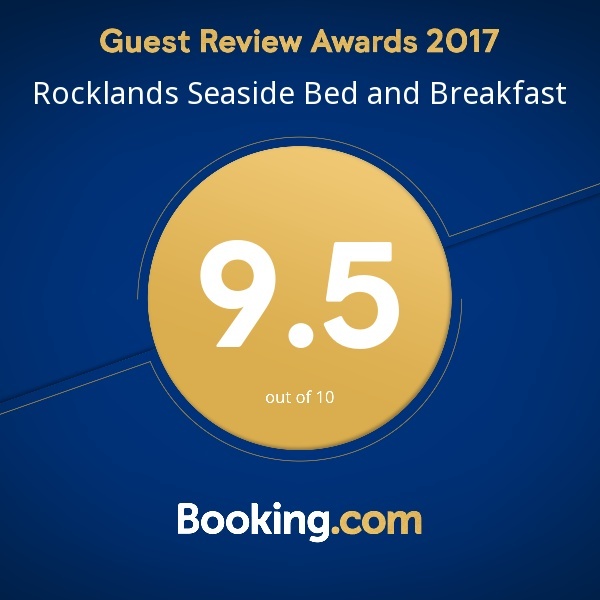 Rocklands Seaside Bed and Breakfast has built a reputation for offering exceptional accommodation, great hospitality and top facilities in the holiday town of Simonstown. Wake up to the sound of the ocean. Watch the whales from your room in season. Enjoy breakfast on our patio and gaze at the stunning seaviews. Enjoy nature at its bets, relax and realise that you are in a paradise situated in Simonstown. Rockland Bed and Breakfast borders on a nature reserve with the Swartberg Mountain range behind. Breakfast is served on a large patio with panoramic sea views over False Bay, across to the Hottentots Holland Mountains and Cape Hangklip. This owner managed holiday accommodation comes with a small kitchenette, DSTV in all rooms & Free Wifi. Unwind in our beautiful landscaped garden with abundant bird life. We offer an excellent office with internet and fax facilities. Laundry and ironing services on request.